Kitchens big and small look great with the added character and surface area an island brings to the room, but certain designs suit a kitchen better than others. 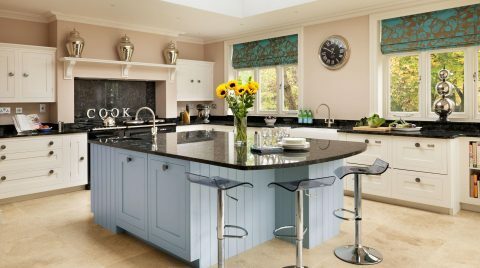 There are a number of factors to think about when deciding to place an island in your kitchen, from where to place it, what size and shape looks best, your available budget and the styles you like. 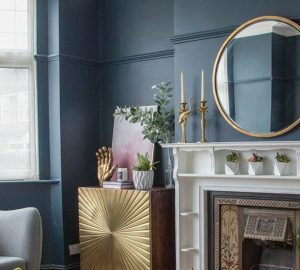 Unfortunately we are unable to help you with your budget, and each persons preferred style can be very different, but I can help you work out the rest. 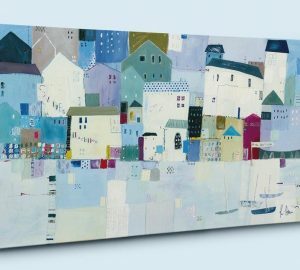 Do you have an idea as to what you require the island for? 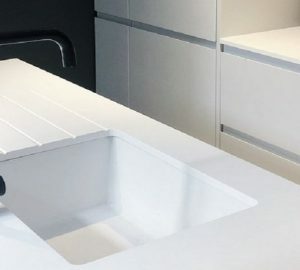 Some people just need added surface area where as others require the island to be fitted out with extra cupboards and drawers, appliances, and even a sink. 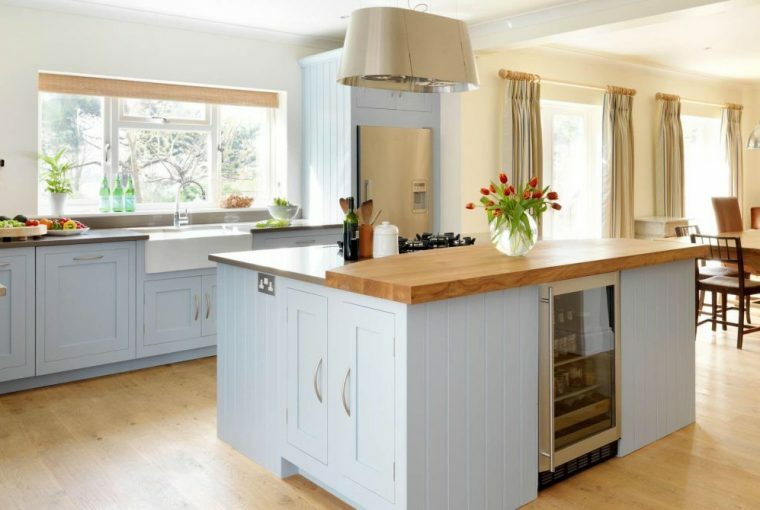 What you require from the island has a big influence on the size, although the size of the kitchen and available floor space is equally important. You don’t want to be sitting on your kitchen stool and almost sat in the sink! Whilst at the same time you don’t really want to have the island lost in the room. 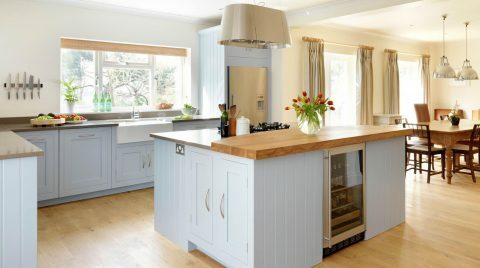 The great advantage of a kitchen islands is that it can make an open bare kitchen look inviting and more functional; it would be a shame to miss this opportunity with an awkward sized or shaped one. 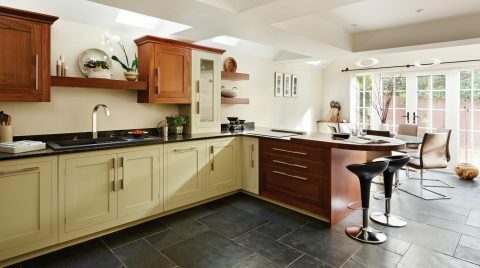 With a large kitchen you can be a bit more adventurous with the shape, but if the kitchen is particularly long and thin, or small, it’s more important to get the shape as well as the size just right. With a long shaped kitchen you should be able to fit in a square island as long as the kitchen is large enough to place the island down one end. The same goes for a square large kitchen – you should again be able to place a long thin island down one end of the square kitchen. It starts to become tricky when the kitchen is limited in size, as there is less floor space to play with. If your room is long and thin, an island that mimics the ones popular in a professional kitchen – long and slim – could be a good solution. For squarer rooms, letting the island reflect its shape will help it to sit comfortably in the room. 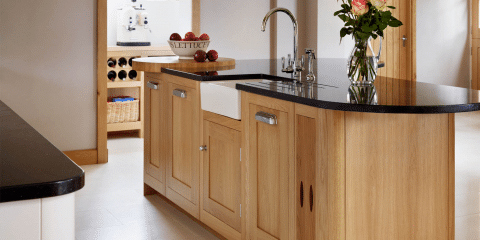 Should you find this all rather a daunting task it would be a good idea to contact a kitchen designer, who can give you a bespoke kitchen island suitable for the size and shape of your kitchen, as well as fit in the appliances and or storage you require. 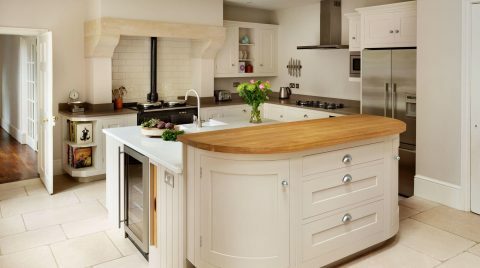 If you can’t find an island that is the right size or fit for your kitchen especially if it’s on the small side – don’t despair! 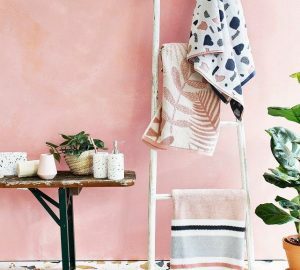 A couple of options you could consider would be a peninsula or butchers block. 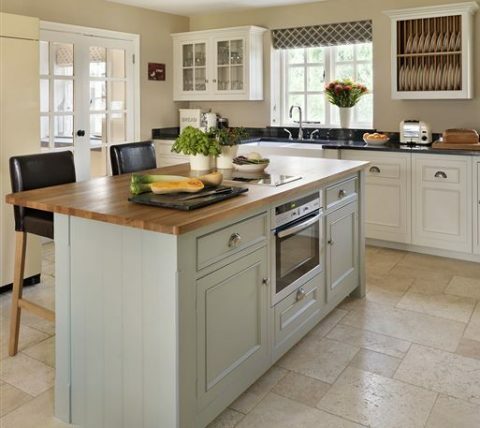 Depending on the size of your island you can have both storage and appliances if you choose. You can also fit a kitchen sink, although remember any plumbing and electrics need to be placed before the island is fitted. As you can see pretty much all appliances and kitchen storage areas can be integrated into a kitchen island. 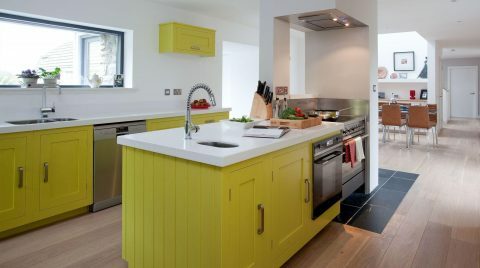 You can even go the complete opposite and use the island or peninsula without storage and appliances, but as a breakfast bar and extra worktop area. 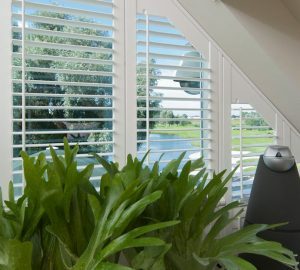 Again if this is all a bit daunting a kitchen designer can help you decide the right options to suit your needs, and they also have years of experience as to the best set up if you like entertaining, love cooking or want to get the most usage out of the area.